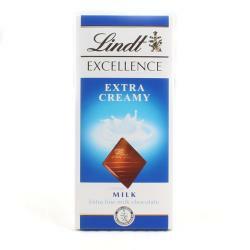 Product Consists : Lindt Excellence Dark Cherry Intense Chocolate (Weight : 100 Gms). 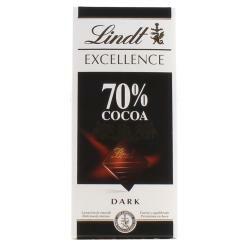 Lindt Excellence offers chocolate lovers a unique and sophisticated sensory experience for the ultimate chocolate pleasure. 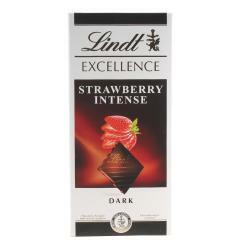 Lindt Excellence offers chocolate lovers a unique and sophisticated sensory experience for the ultimate chocolate pleasure. 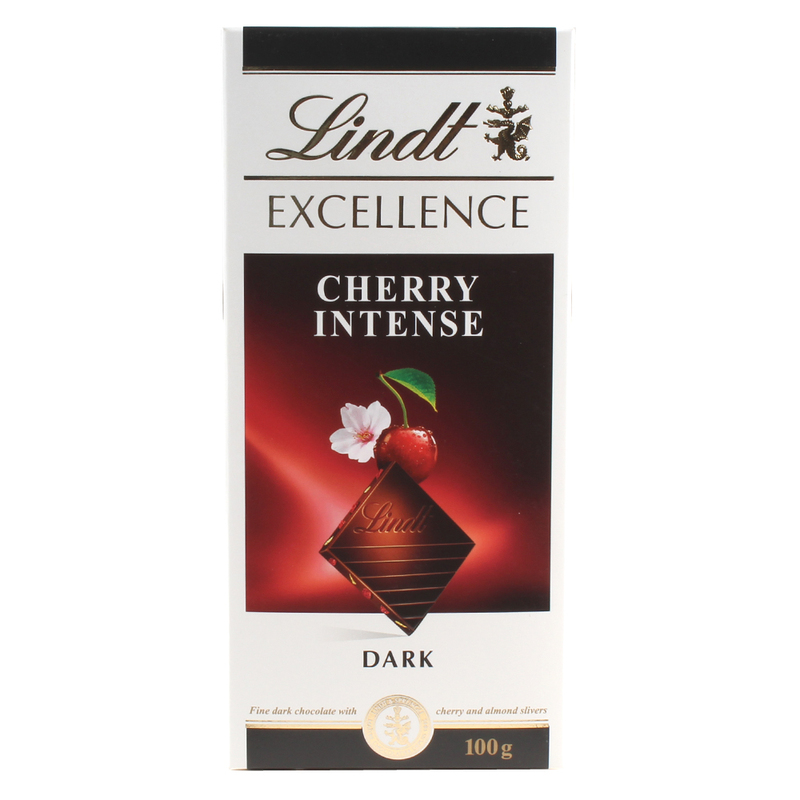 The Lindt EXCELLENCE Cherry Intense chocolate bar is an exquisite dark chocolate bursting with cherry fruity flavour. Made using the finest ingredients, each bar encases luscious real cherry pieces with crunchy almond slivers in velvety smooth dark chocolate for an exquisite aroma, taste and texture. This delightful chocolate bar is the ideal treat to be savoured after dinner or simply for a little sweet delight during the day. 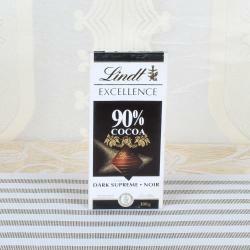 Product Includes : Lindt Excellence Dark Cherry Intense Chocolate (Weight : 100 Gms).